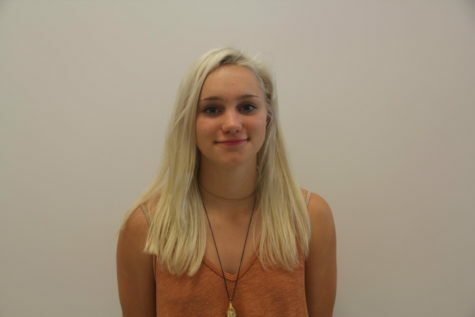 Caylee Caldwell is the opinion editor for her second year of journalism and a junior at Highland High school. She has lived in Utah her whole life but hopes to one day live in a rainy place like Seattle. She hopes to go to the U of U to study creative writing and biomedical engineering. Caylee takes great interest in welding and English classes, enjoying the creative style. She enjoys school and the door that knowledge opens. When she is not at school, you can find Caylee at the gym. Caylee is a competitive crossfit athlete associated with Kirin Crossfit. Her goal is to go and compete in the Reebok, Crossfit Games. If she is not working out, which she usually is, she is typically writing or reading. Be it articles or fictional novels, she finds comfort in the worlds and fantasies created with words. Caylee is currently in the process of writing her second novel. Her friends tend to consider her a hopeless romantic with a soft spot for clichés and cheesy romances. Besides that, Caylee enjoys good food, theatre, and paintball.